When we buy your car or truck that is used, wrecked, damaged or junk cars, we will give you a free tow and the payment in your hand. All in the same day – promise! We are aware that you have several choices to sell your vehicle today. There are the neighbors, dealers, newspapers and the ’For Sale’ sign – all of them uncertain and not exactly dependable. So why do they choose us? Our customers choose us for their car cash needs because we have been buying autos for over 30 years and paying for them the same day we tow them away – and we tow for free – GUARANTEED. You know we are taking care of sellers since we have had a perfect record for three decades of success. One call to us and we will walk you through the process. We will hold your hand until the deal is done and that means taking care of all the paperwork and payment. 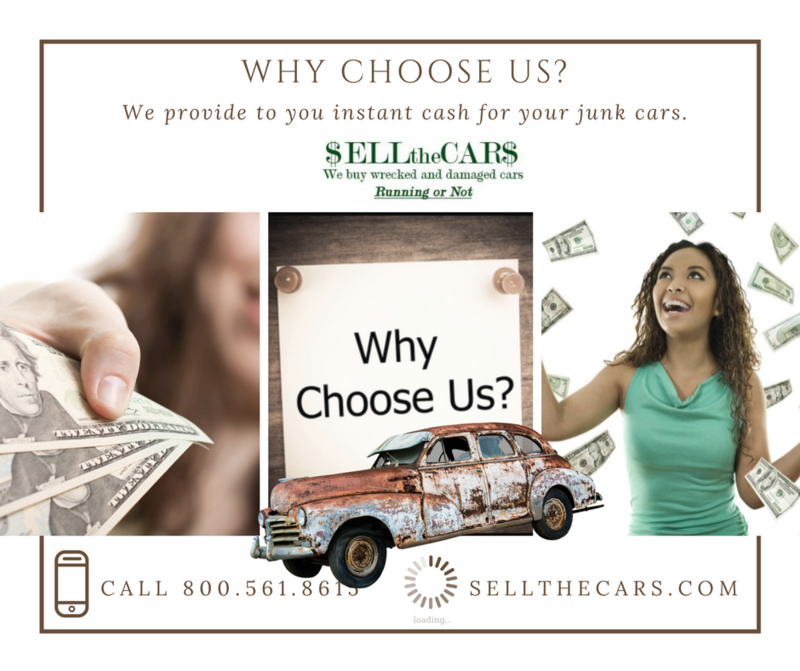 SellTheCars.com offers you the best value to sell your vehicle and we can pay you for your car for truck fast, in a safe environment, and we do it with a smile all the time. One of our friendly, knowledgeable agent buyers will get you the best available price and then get the car or truck towed. We will buy a wrecked, junk, used, damaged running or non-running vehicle in the USA. Any car or truck in any condition in the USA! Since we specialize in performing thousands of buying transactions a year that involve any vehicle in any condition we treat each customer with quality customer service. 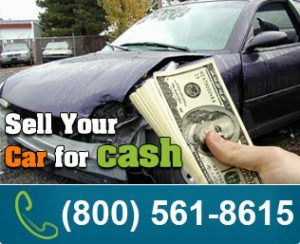 Whether you have a damaged truck, wrecked vehicle, an old junk car or a perfectly good used SUV or van… if you want to get paid today, simply click here to Get a Quote Now or give us a call at 800.561.8615 today! SPECIAL offers are made on all autos that are 2003 or newer and we can pay cash (we will actually hand you a check) for fully functional autos, hard to sell vehicles even antiques and collectible vehicles. If you have an old vehicle or if you are looking for a junk car removal service company, you need to call us today! That heap of metal, glass, and plastic could be cash in your pocket today! Call us and we will give you an offer and discuss all of your options so you can make the best decision. We pay you and tow your vehicle on the same day – PROMISE! Whether you need to buy a new vehicle, sell your vehicle for cash to pay bills or have some extra cash on hand, we can help. Calling us to find what your vehicles are worth is only a 7-minute call. And you will find out what the value of your auto is when we are done. You will get our best car cash price after a brief and informative conversation. When we come to pick up your vehicle, you will receive payment (check) in your hand. That has been our guarantee to every person.